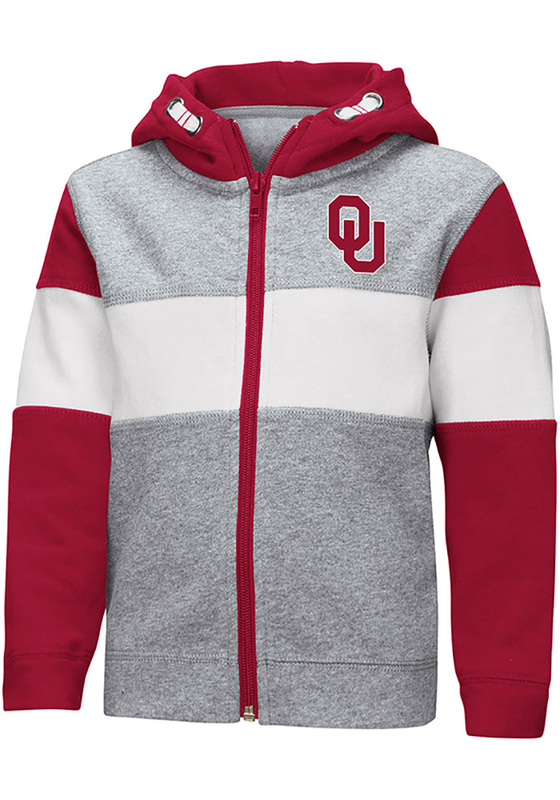 Deck your little one out in Oklahoma Sooners colors in this Toddler Long Sleeve Full Zip Sweatshirt. 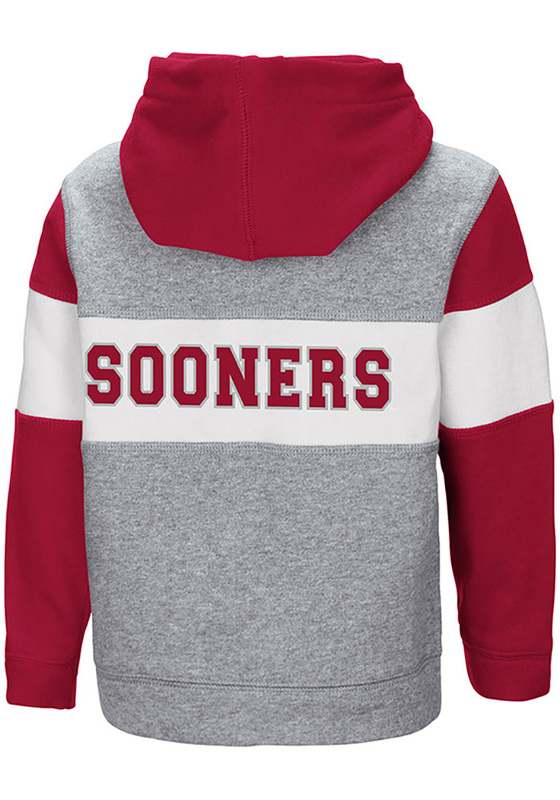 They'll love showing their Sooners spirit with this Grey Snowplough Long Sleeve Full Zip Hoodie. Featuring a screen print team logo on left chest and wordmark on back, this Full Zip Sweatshirt is sure to make any future fan stand out.